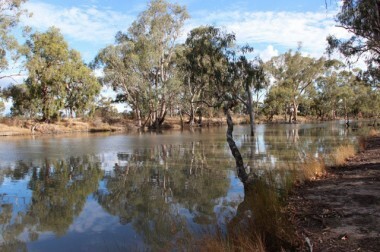 Broken creek passes through the towns of Numurkah and Nathalia before entering the Murray River upstream from Barmah. Prior to European settlement, the area around Nathalia was occupied by the Yorta Yorta people. In 1838, Charles Sturt was the first European to explore the area, following the Murray River downstream. 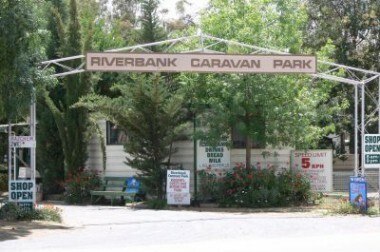 Riverbank Caravan Park Nathalia is proud to be a 'family park'. Nestled on the banks of the Broken Creek is a great place to visit all year round no matter what the season. Holidays are about relaxing, exploring and spending time with family and friends in the outdoors. Come and experience our park and the beautiful surrounding area Next door to extensive lawn tennis and all weather courts as well as the in-ground swimming pools. The park is conveniently located 600m from the highway and shops providing a peaceful atmosphere amongst established shady trees. Booking is easy! Call us on (03) 5866 2821 or 0438 586 628 and we will arrange your stay with us or click the "book now" button and complete the form. 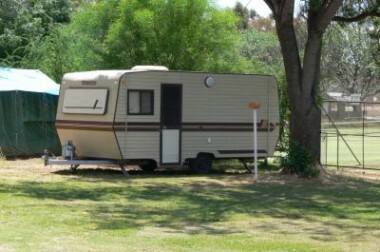 Stay 7 nights pay 6 - Stay 7 nights or more, in either a cabin ensuite or powered site and enjoy 1 night free.